Electric vehicles aren’t new or novel. Ferdinand Porsche, the founder of the sports car company that bears his name, introduced the fully electric P1 in 1898. At the turn of the 20th century, nearly all New York City taxi cabs featured electric powertrains. However, the limitations of battery technology at the time allowed gasoline-powered engines to gain a considerable advantage, becoming the go-to powertrain for the masses. Fast forward 100 years, and electric and hybrid-electric vehicles are making a comeback—or trying to at least. At the 2012 Los Angeles Auto Show, Chevrolet introduced the 2014 Spark EV. Production ended two years later in 2016. This was GM’s first EV since the EV-1 from the late 1990s, and it came and went in just two years. Automakers are scrambling to introduce new electric models; however, consumer interest is waning. Low gas prices and the abundance of available credit means consumers are flocking to larger, more expensive people movers such as crossovers, SUVs, and pickup trucks, leaving electric vehicles both new and used collecting dust on dealership lots across the country. The consumer base searching for used electric vehicles is so small, you can get a screamin’ deal on a used Chevrolet Spark EV, as Road & Track recently discovered. The publication found several with low miles for dirt cheap. Road & Track found one 2015 with 29,800 miles on the odometer listed for $8,200. Another example with 21,150 miles had a list price of $9,644. Then there’s the cream of the crop—a like-new Chevrolet Spark EV with just 219 miles on the clock selling for $12,997. And it’s not like the Chevrolet Spark EV is a slouch. When Chevy introduced the hatch, it made a bold claim that the Spark EV offered more torque than a Ferrari 458 Italia, producing 400 pound-feet of torque. Though, despite the fun statistic, zero-to-60 time was a claimed 7.9 seconds, which isn’t supercar fast but is nevertheless quick for the heavy hatch. With an EPA-estimated 82 miles of range, the Chevrolet Spark EV is a forgotten hot hatch that’s dirt cheap. Plus, it comes with an eight-year/100,000-mile warranty. 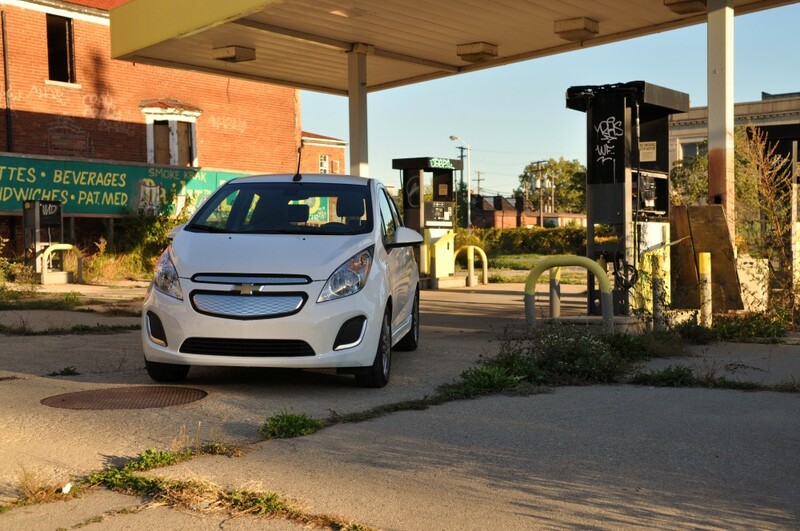 When we tested one back in 2013, it was easy to be charmed by the eager vehicle dynamics of the Chevrolet Spark EV. Though like GM’s other EV offerings up to this point, it was never a complete performance package, lacking appropriate brakes, tires, suspension and supportive seating for the power output. At least all of those things are easier to swap out than a battery pack. The range is the problem. It might not make it in the winter thru a 50 mile commute (with some heat on). All the low range EV values are tanking and that’s why. 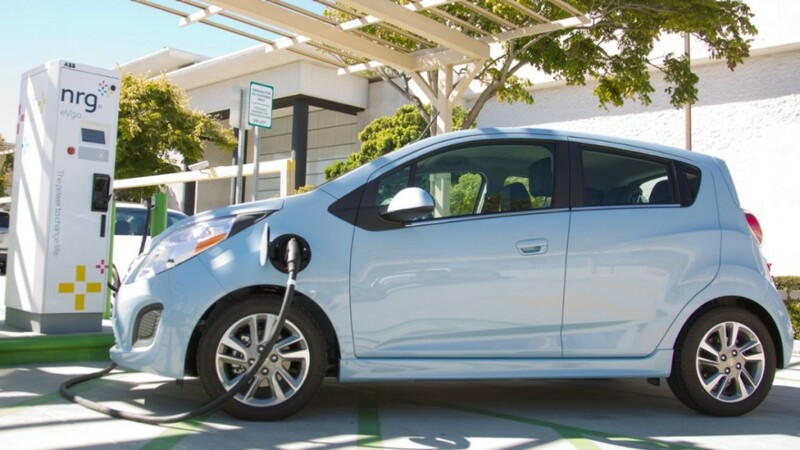 Try to buy a used EV with good range and you’ll find prices barely below new. Silly high. Not even reflecting the tax credit plus depreciation. I could buy a new Bolt LT cheaper than a ’17 Premier model. (in Oregon) The only Tesla under $30k has a salvage title! Where did you get a cheap lease on a Bolt??? God/Bacardi Please Let me know!! !